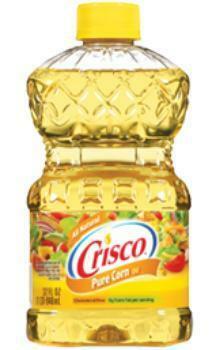 Are Crisco Oil products "all natural" even if they're made with genetically-modified crops? A lawsuit against Crisco parent Smuckers claims they're not and a federal judge has agreed to let the suit proceed. Diane Parker filed the suit, which seeks class action status, saying that Crisco's oils, far from being "all natural" are "so heavily processed that they bear no chemical resemblance to the ingredients from which they were derived," Courthouse News Service reported. forward to presenting our case in court," Maribeth Burns, Smuckers Vice President, Corporate Communications told ConsumerAffairs. The Smucker oil lineup consists of Crisco Pure Vegetable Oil, Crisco Pure Canola Oil, Crisco Pure Corn Oil and Crisco Natural Blend Oil. Parker claims that Smucker's tricks consumers "into buying products they otherwise would have avoided, whether due to health concerns or mere preference" because products with an "all natural" label are perceived to be "better, healthier, and more wholesome." But Parker alleges that, in fact, it would be impossible for Smucker's oils not to contain genetically modified ingredients because "70% of U.S. corn, over 90% of U.S. soy, and over 80% of U.S. canola crops are [genetically modified]." In its motion to dismiss the case, Smuckers said Parker had not proved that the oils contained genetically-modified ingredients and said they were in compliance with Federal Drug Administration policies on bioengineered foods and federal food labeling regulations. But U.S. District Judge Samuel Conti said Parker had shown it was "more than a sheer possibility" that the oils contain genetically modified ingredients.